Thousands of researchers visit our busy department each year in search of information about our state and its diverse population. Our reference staff assists a steady stream of genealogists, historians, students, state employees, attorneys, environmental researchers, and others in search of historical information about our state and the people who have lived in it. A guide to town vital records held at the CT State Library. You can download the book as a pdf. The Firelands, Connecticut's "Panhandle," and the "Southwick Jog"
Service records for the Revolutionary War, Civil War, World War I and more! Selected topics from our main Digital Collections page. 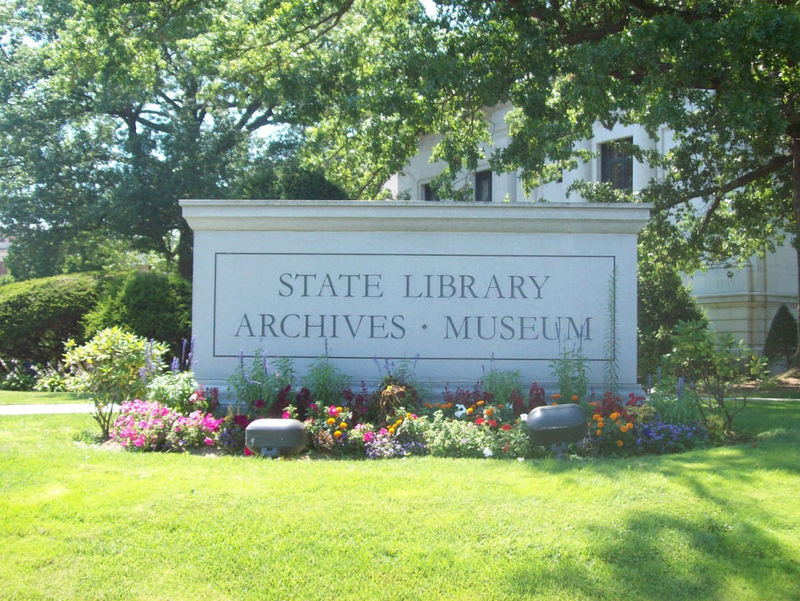 Site continued: "The Connecticut State Library includes the State Archives and the Museum of Connecticut History and is an Executive Branch agency of the State of Connecticut. Our mission is to preserve and make accessible Connecticut's history and heritage & to advance the development of library services statewide."